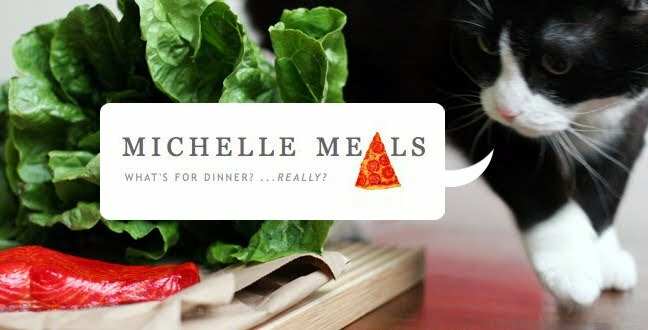 Michelle Meals: What did we eat at Ma Dang Coul? First up: soju! It is a rice-based distilled beverage, around 20% alcohol, and according to this Wikipedia article, it is not unlike a sweet vodka. 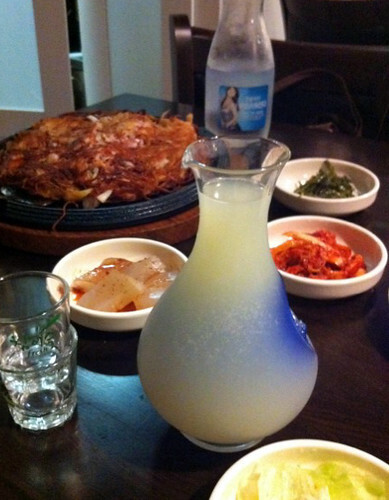 The colour and taste of the lemon soju reminded me of Calpico. Next: REALLY Spicy Squid! 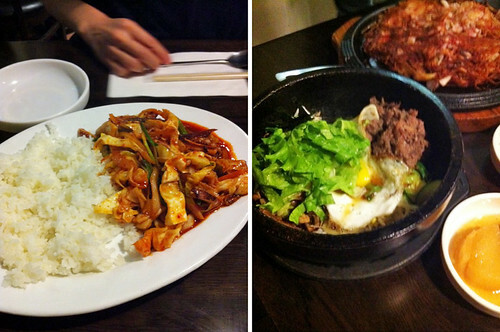 Bi Bim Bap! Seafood pancake thing! Exclamation marks all around! Finale: private karaoke at Fantacity feat. 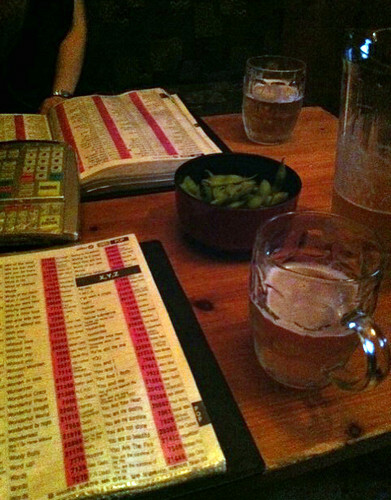 edamame because you have to buy food to drink, and too many pitchers of beer. And too many renditions of Kissing a Fool.